To add your event, Please follow sample below. Start with date, city, zip. Only use caps where needed. Send to addmycarshow@Gmail.com Do not send flyers or download files. send in email box. I will get your event added ASAP. September 3, 2018 - ( Greenfield, IN. 46140 ) Labor Day Car Show. Greenfield First Church Of The Nazarene ? ?th Annual Anything On Wheels Car, Truck, Bike Show. This Show Is Held At 1980 South State Street, Greenfield, In. Registration 10am Till 1pm. Fee is $15.00. Awards At 3:30pm. For Top 30 Open Class Plus Best Street Rod, Best Muscle Car, Best Mopar, Best 1950's, Best Mustang All Years, Best Corvette, Best Pontiac, Best Camaro, Best Truck, Best 4X4, Best Engine, Best Import, Best Bike, Special Interest, Best Oldest Driven To Show. Club Participation Award, Fastest Hot wheel, Best Of Show And Pastor's Pick. Pulled Pork, Hot Dogs, Hamburgers, Chips, Drinks. Dash Plaques For First 100, Food, Music, Door prizes, Pony Rides, Hot Wheel Races. Contact: Phil 407-3398. 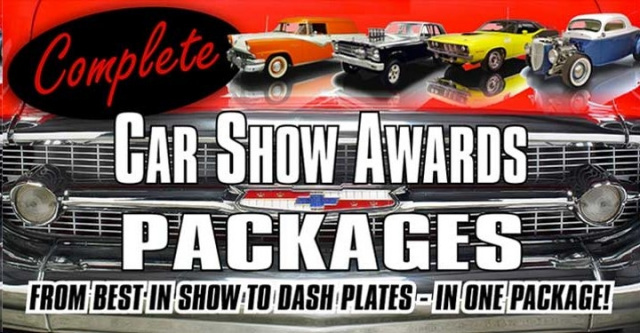 If your still in need of car show awards visit Flying "W" Awards 2630 Madison Ave. Indianapolis, IN, 46225. come and see us for all your car show awards, Trophies, Wall Plaques, Dash Plaques And Complete Car Show Packages. 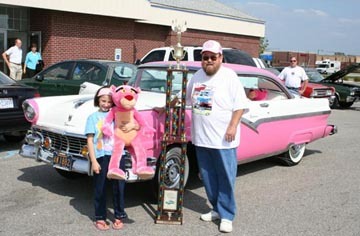 www.flyingwawards.com or call us at 317.786-4329.